For some, making a visit to a dentist is both painful and financially expensive – so it’s little surprise that people are put off visiting their family practice to fix their gnashers or enquire about getting the smile they’ve always dreamed of, but with a swift call to Ewan Bramley Dental Care, it doesn’t have to be this way. If you had a magic wand, would you change anything about your teeth and smile? Are you embarrassed to smile or scared to pose for family photos in fear of people noticing your teeth? You’re not alone but there is a solution. If you want to overcome your fear of the dentist once and for all and get the perfect smile in the process, Ewan Bramley Dental Care’s introduction of NuCalm – a revolutionary technology that naturally relaxes the mind and body without drugs – will make your dental visit feel like you’ve had a visit to a spa. 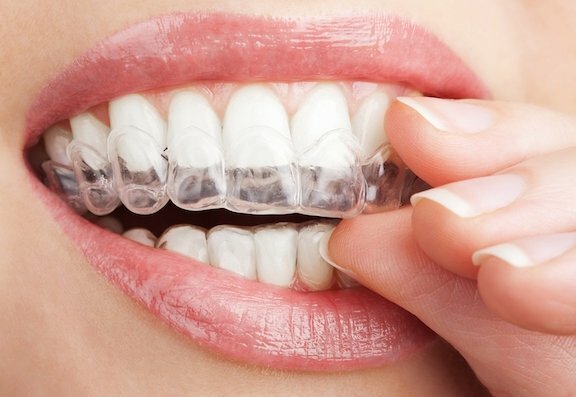 Invisible Braces – The Clear Alternative To Traditional Braces? You’re not the only that feels down about their teeth and more and more of our patients are using Invisible Braces to give them back their confidence and straighten their teeth.